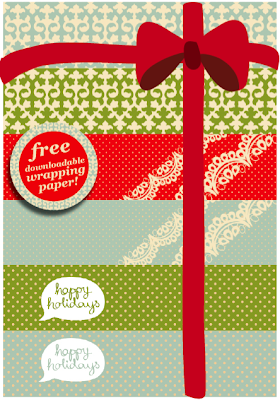 cute little life: Let the Holidays Begin! Thanksgiving is officially behind us (other than the leftovers in the fridge) and driving home in the rain tonight was the final push I needed to get into a winter-ey mood. I think I'm ready to pack up the pumpkins and pull out the pinecones for some holiday cheer. 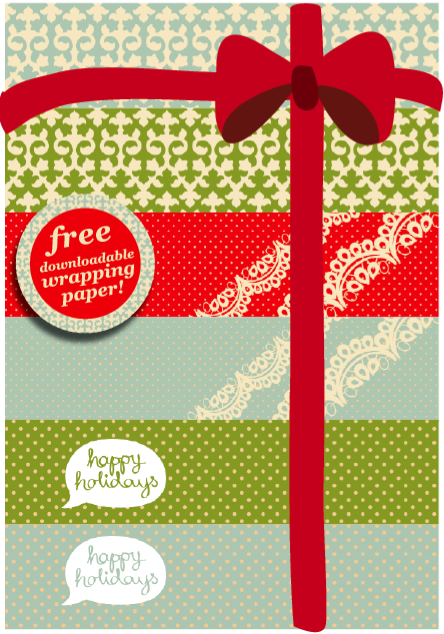 To help kick-start our crafty Christmas season, hop on over to Mae for some free, printable holiday wrapping paper. She has downloads for two different sizes (and a totally cute blog!). Image via Mae. First spotted on Twig & Thistle.